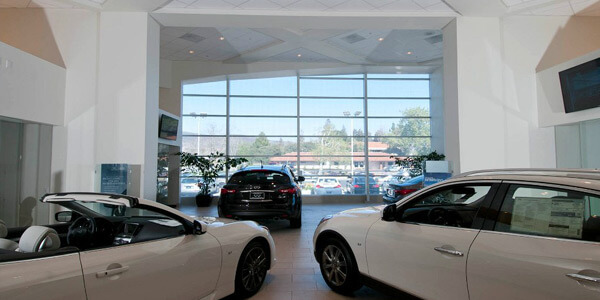 OUR TEAM AT INFINITI OF THOUSAND OAKS WELCOMES YOU! 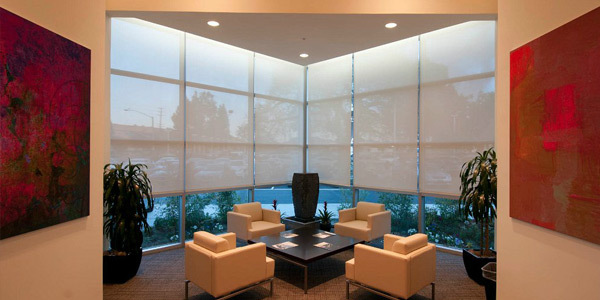 We have a strong and committed sales staff with many years of experience satisfying our customers' needs in the Ventura and Los Angeles County areas. 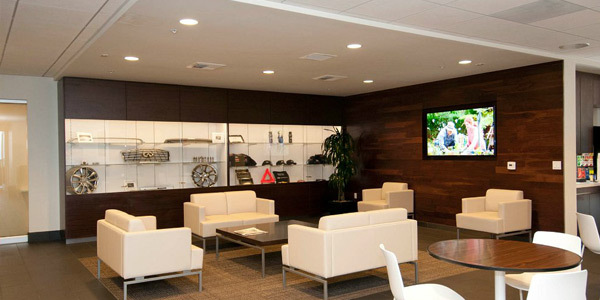 Located in Thousand Oaks, California and neighbors to Camarillo, Agoura Hills, Westlake Village and Moorpark, we will help you find the right vehicle for your needs. Feel free to browse our inventory online, request more information about our new/used vehicles, set up a test drive or inquire about our auto financing options! 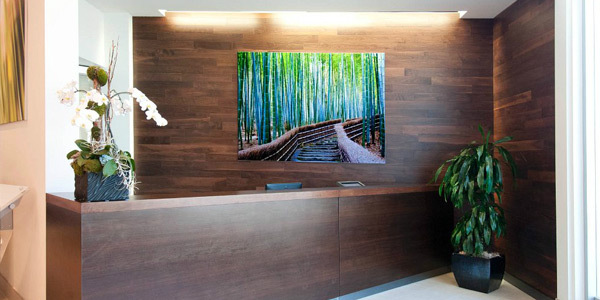 Our experienced staff has helped many people get into the car that they want and we want to help you too. 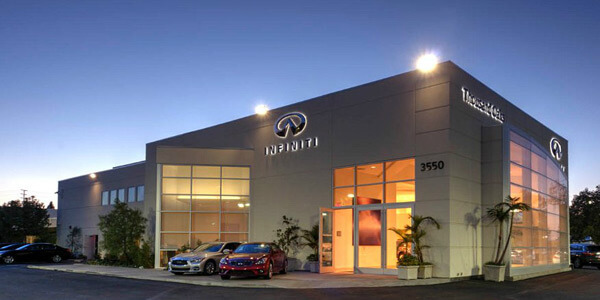 Browse our new INFINITI inventory or our used car inventory to find the car of your dreams. If you need a car loan check out our finance page to start the process. 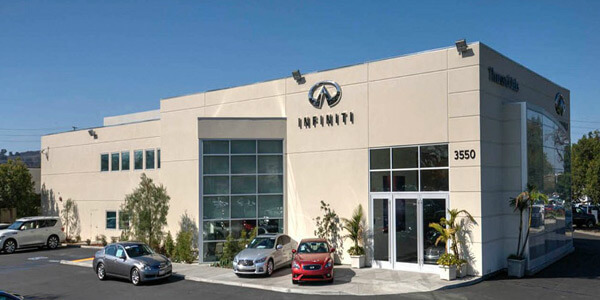 If you need parts or service don't forget about our talented INFINITI repair technicians and INFINITI parts professionals. 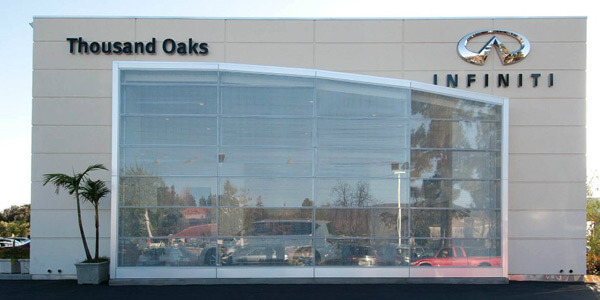 INFINITI of Thousand Oaksstrives to provide the best sales, service, and experience possible to make your car buying process stress free. 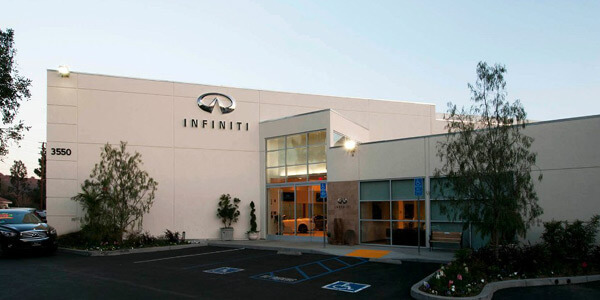 Don't take our word for it, come down to 3570 Thousand Oaks Boulevard, Thousand Oaks, California and see the INFINITI of Thousand Oaks difference for yourself! 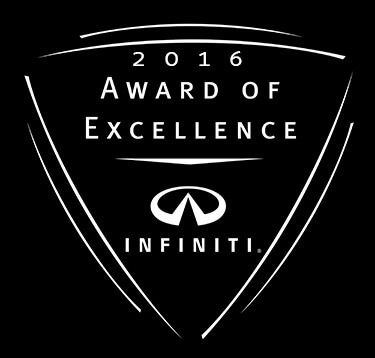 INFINITI of Thousand Oaks earned the 2016 INFINITI "Award of Excellence" for exemplary customer service for the ninth year in a row.